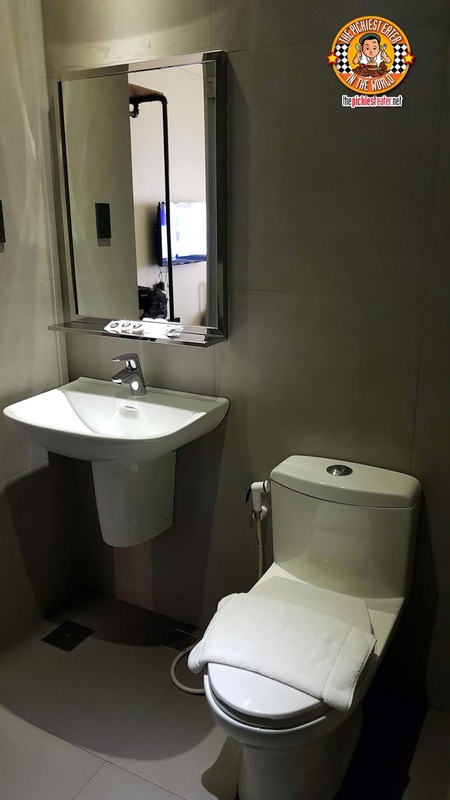 Rising in the Poblacion District, U Hotels gives guests an affordable hotel alternative when wanting to stay in Makati. 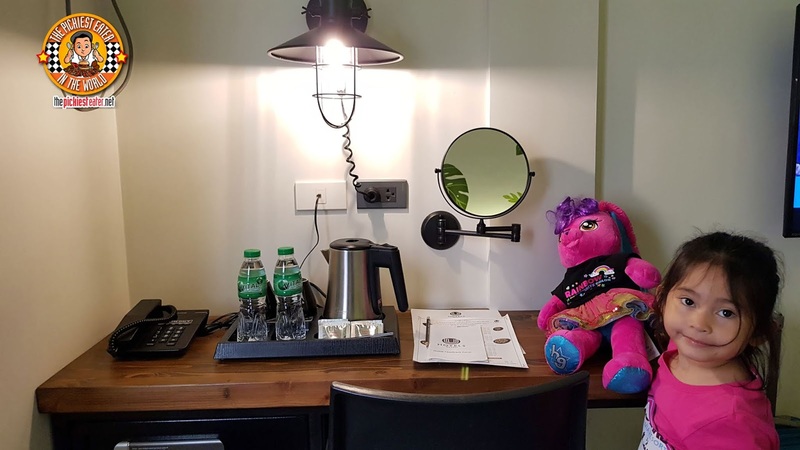 But more than just being cost efficient, U Hotels prides itself in giving its guests a unique staying experience, with every room offering their own unique adventure. The modest sized lobby maximizes its area, making it feel far more spacious than it actually its. 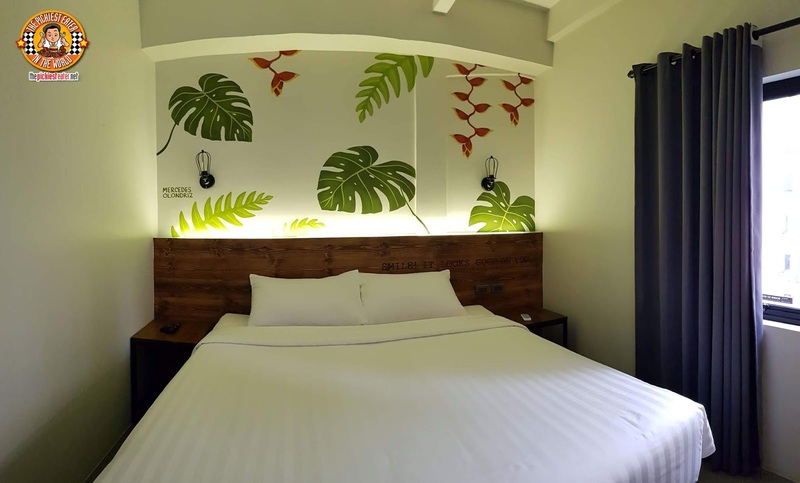 The walls are adorned with lush greenery, which gives the hotel an almost sanctuary like feel amidst the concrete jungle that is Makati. Little Miss Rainbow is ready to check in! Perhaps the first thing you will notice about your room is the gorgeous artwork etched on to the walls. 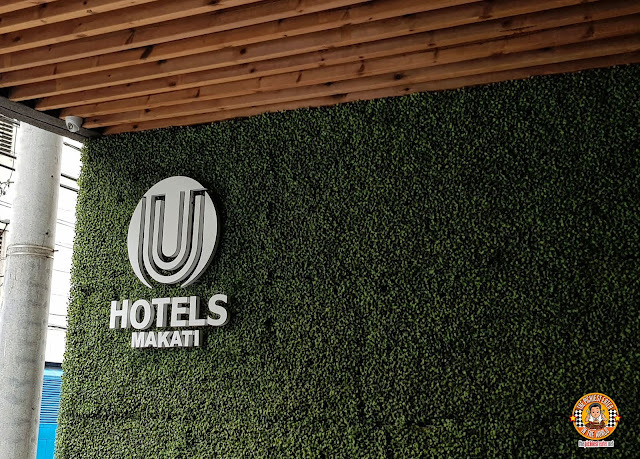 U Hotels commissioned a roster of local artists, including such names such as Mercedes Olondriz, Kris Abrigo, Avin Del Rosario, Anina Rubio, Exldmanila, Trip63, Chillersssss, and Archie Oclos aka "Tatak A". 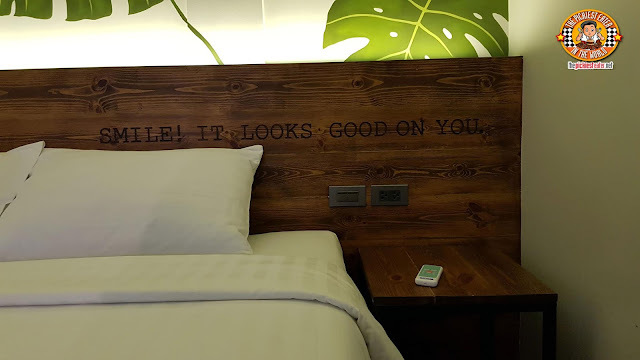 Each room has it's own distinct theme making every visit to U Hotels a unique one! Another thing worth noting is that their bed is absolutely amazing. It's soft and fluffy, and it feels like you sink into it when you lie down, assuring you a good night's sleep, or the perfect place to relax as you watch a flick on their LCD TV. In case you're staying for business, there is a work desk available that can comfortably fit your laptop. The quaint bathroom has all the essentials, including hot and cold water. 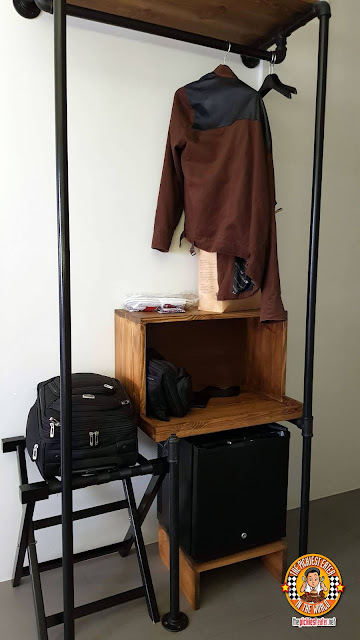 Given the limited space, it was actually really genius of U Hotels to fix all the rooms with Clothing Racks that can double up as a mini cabinet as well, instead of a bulky closet. 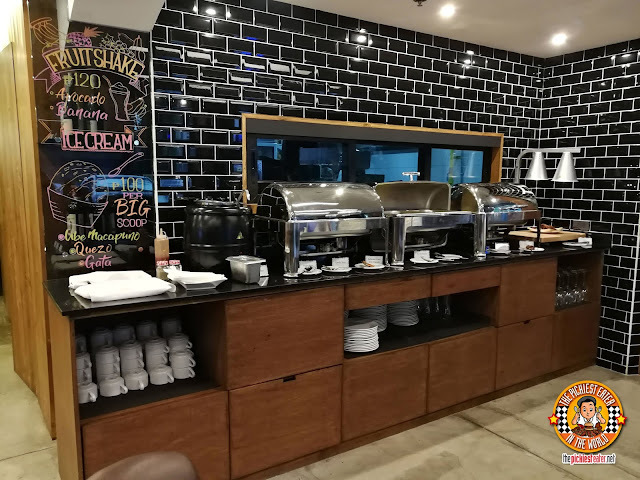 Dining needs are handled by U Hotels' Lobby Lounge, which is is manned by none other than Chef Decker Gokioco, the former Executive Chef of F1 Hotel. 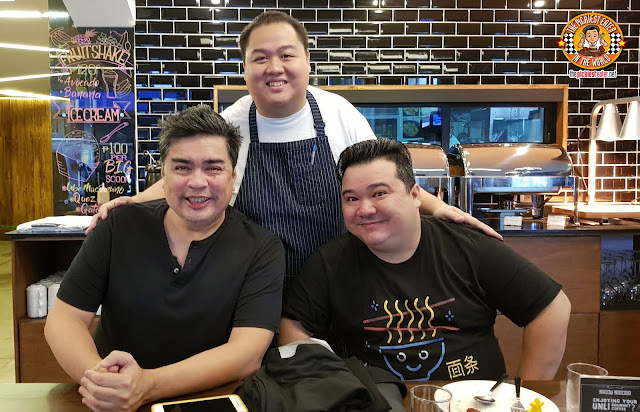 With Chef Decker being a part of the Yu clan, owners of U Hotels, it made perfect sense for him to helm their kitchen, which consists of some of their family's heirloom recipes. 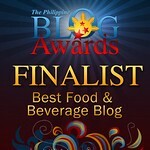 We were fortunate to get a first hand taste for ourselves, as we explored U Hotels' Delectable menu! 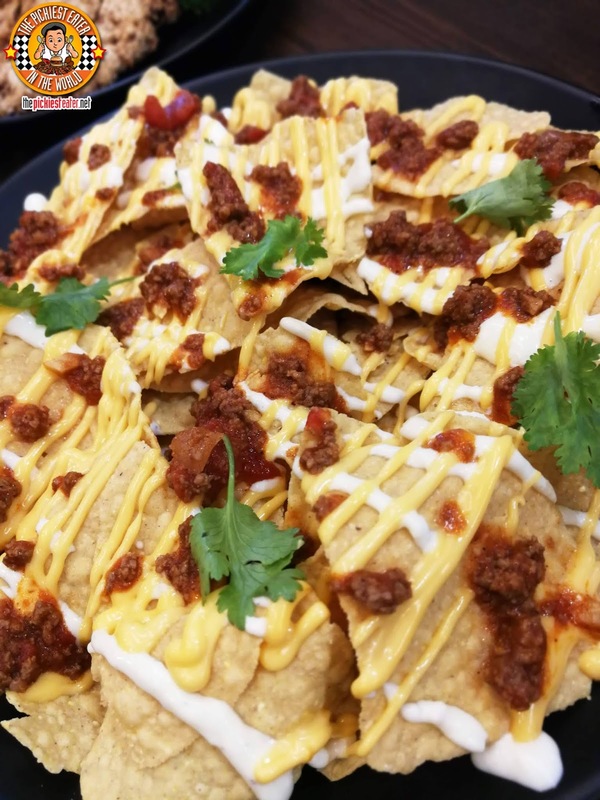 Chef Decker kicked off our meal with the Loaded Nachos (P249). These were delightfully crispy Nachos Chips, generously drizzled in a rich cheese cheese sauce and a dash of Sour Cream, then topped with a flavorful Beef Chili. 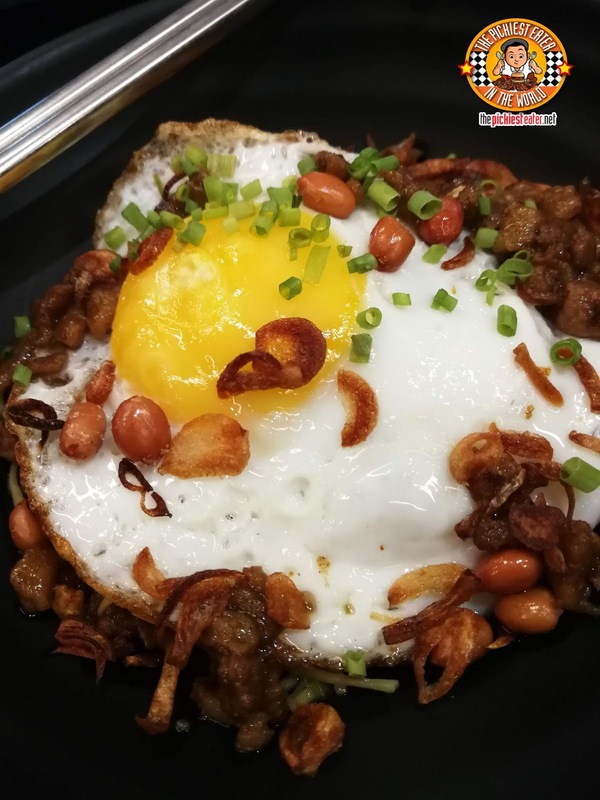 One of my favorite dishes of the day was the "Just Noodles" (P190). This amazing dish prepared the Fookien way features a mouthwatering pile of stir-fried noodles, topped with perfectly cooked fried egg, a sprinkling of peanuts and deep fried shallots. Simple, yet comforting flavors that I couldn't get enough of! 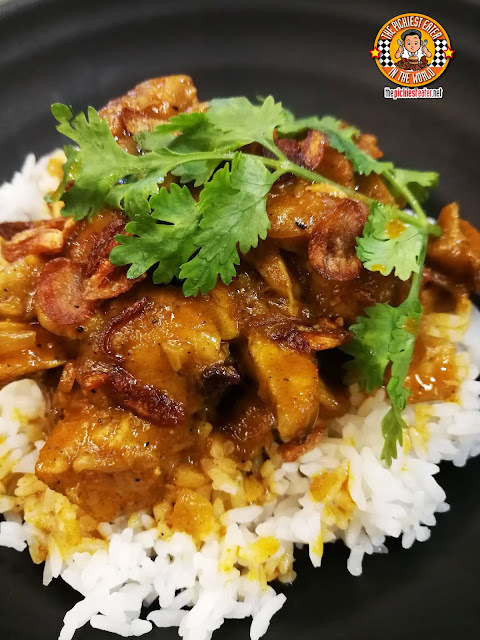 A phenomenal dish that you must try, is the Chicken Curry (P320). Juicy Chicken cutlets are simmered in a fragrant sauce, made with a medley of herbs and curry that play off each other magnificently, offering just a subtle touch of heat to tickle the taste buds. 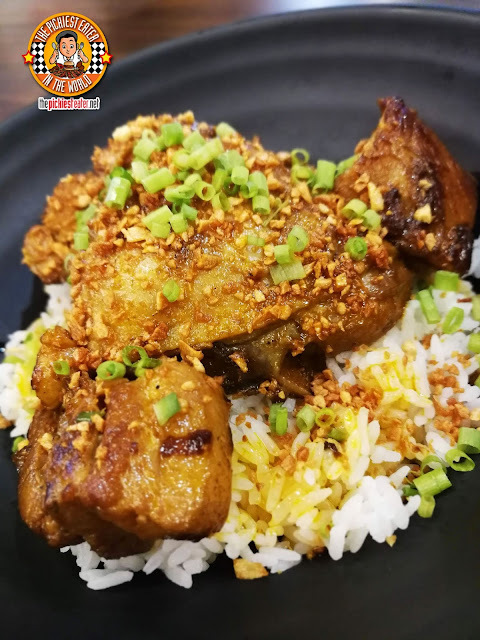 With every family having their own recipe of adobo, U Hotels invites their guest to taste the dish they have passed on from one generation to another with their Heritage Chicken Pork Adobo (P320). Delicious cuts of Chicken and Pork pieces are bathed in an aromatic Adobo sauce, which is liberally splashed over a bed of steaming hot white rice. 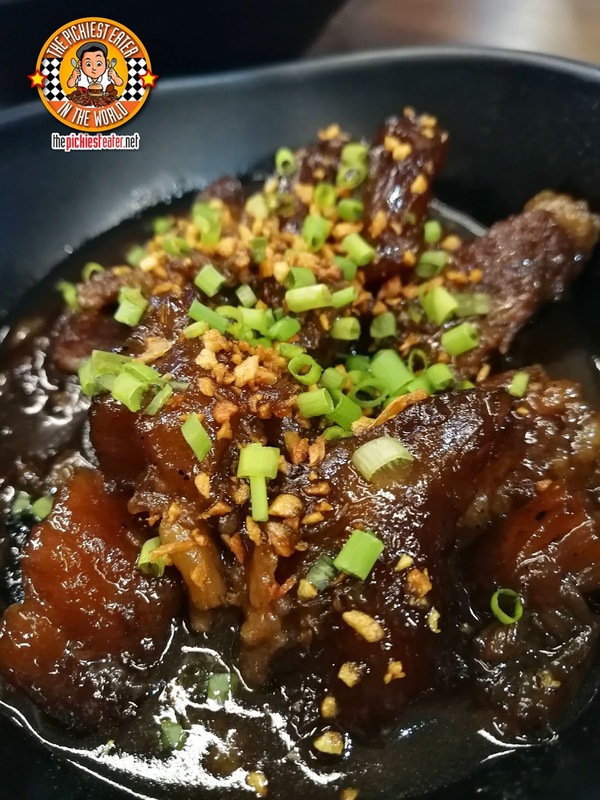 What makes this even more amazing is how the Adobo sauce seeped into the chicken and pork meat, packing it even more with flavor. The Lobby Lounge also offers Chef Decker's take on the classic Beef Pares, but with a twist to it. The Pah Res with Ten Don (P240) uses a mixed blend of Beef Chunks and delicious pieces of Tendon, swimming in a lightly sweet and fragrant pares sauce. Perhaps my favorite dish of our meal was what they called, "Mommy's Porkchop". 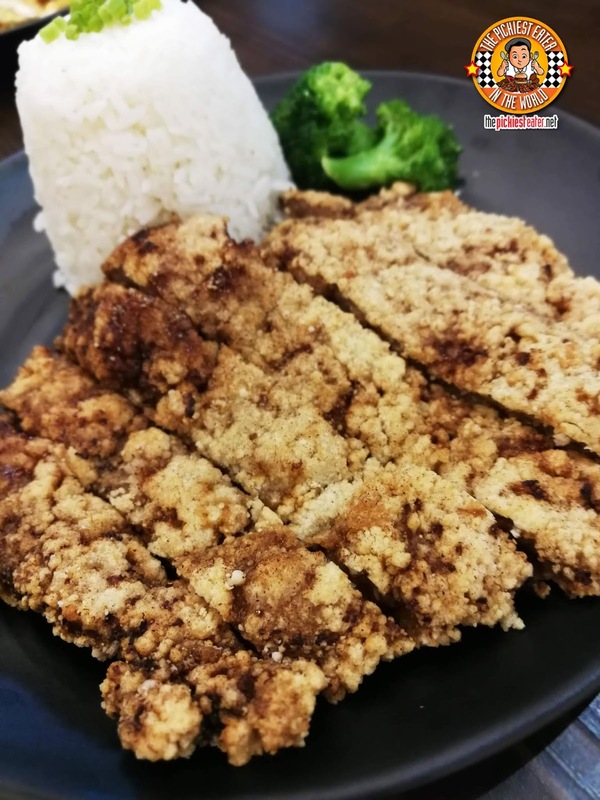 A juicy Porkchop coated in breadcrumbs and (what i'm assuming is ) Five Spice, giving it a more oriental flair. This no frills dish really won me over, and the mere fact that it's an heirloom recipe, made me think that I could fit right in with this amazing family. 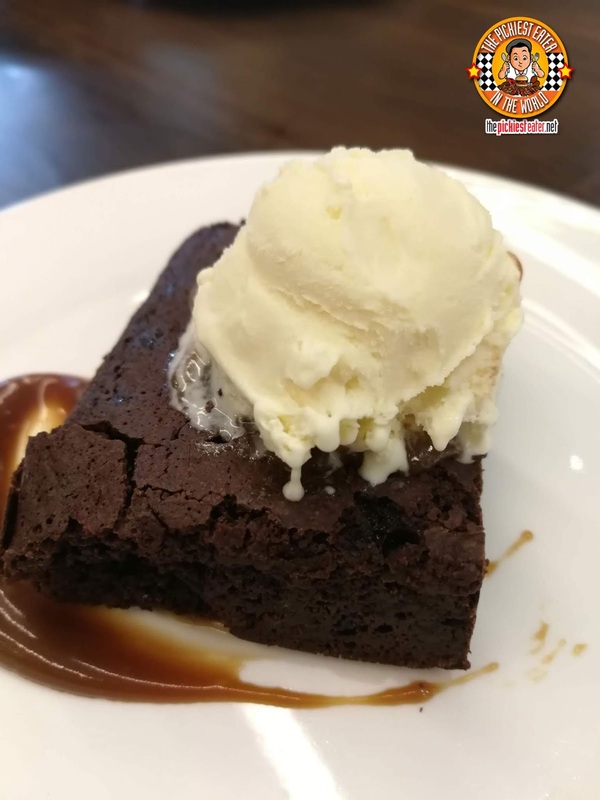 Serving as our Meal's grand finale was the Brownies ala Mode (P160), which was a fudgey and moist brownie topped with a luscious scoop of Vanilla Ice Cream! 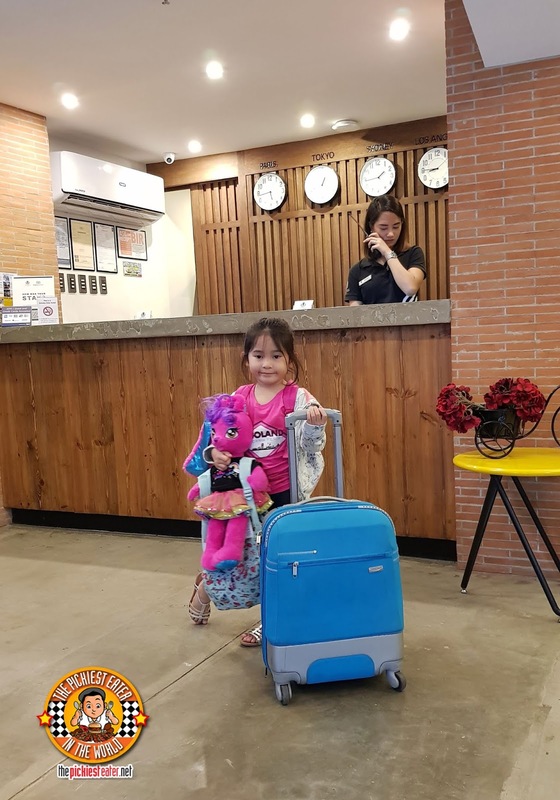 The Lobby Lounge is also where you may avail of your breakfast (depending on your room accommodation package). 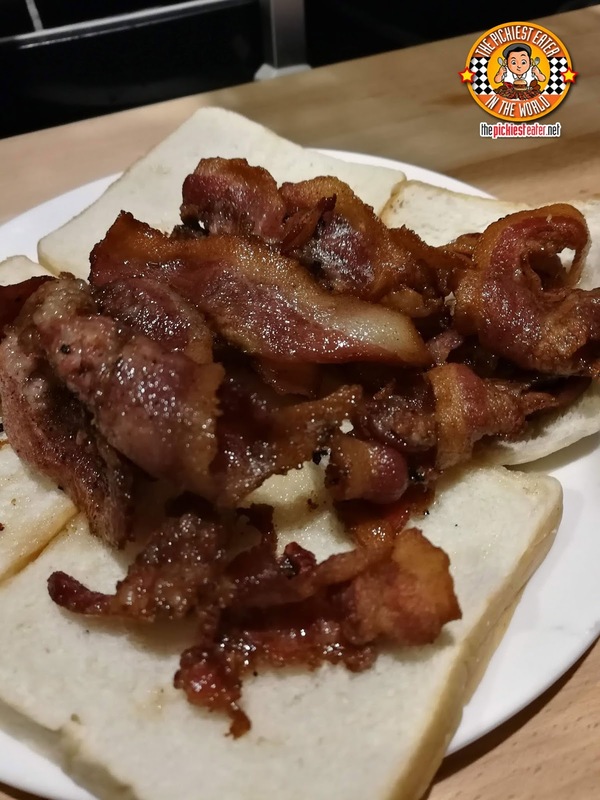 The simple spread consists of choices of Breakfast Favorites, such as Tocino, Tapa, Longganiza and Corned Beef..
With the crown Jewel of course, being an unlimited supply of delicious Bacon! 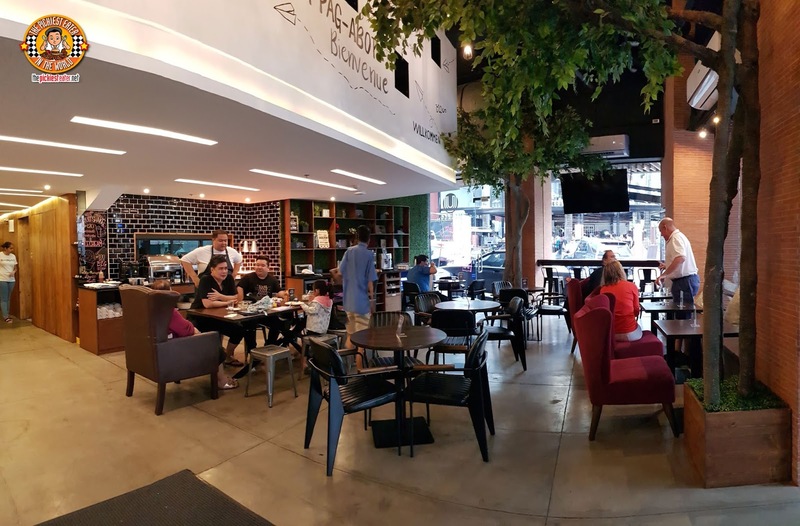 Big Shoutout to the Yu Family and of course, U Hotels Executive Chef Deckker for a wonderful new Hotel alternative in Makati! U Hotels Artistic ambiance will definitely captivate your attention, the service will keep you more than satisfied, while the food will ensure that you'll be wanting to come back for more! I am looking forward to more U Hotel branches opening up in the future! 5091 P. Burgos St. corner San Mateo St.